We live in a society where currently the ones who have the ability to suppress free speech and freedom of the press can be controlled by the few tech giants. For those of us that do not know this, websites like Google and Facebook command huge hoards of data and search engine results which can be tailored to get promotion to specific websites and causes. The next step in the question is: "Do they have the power to sway an election?" Larry Sharpe is by far the most popular candidate I've seen running for a state election featuring on such channels like Joe Rogan and many other highly popular and respected Youtube channels. Even better is that he happens to be a Libertarian running for causes that would easily assist in the prosperity of New York, which is currently riddled with anti-business policies choking the system of New York. This website promotes free thought and to not tailor your search results based on the notions of this site. Given that premise, it is very important to me that we get out the proven word of what Facebook is doing to its consumers. Share this article. Talk about it. 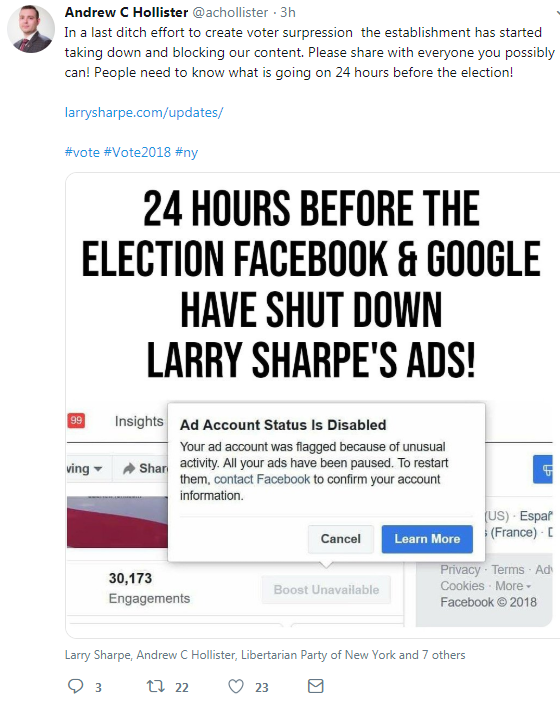 Let others know that Larry is being suppressed in an attempt to make sure he does not get elected. 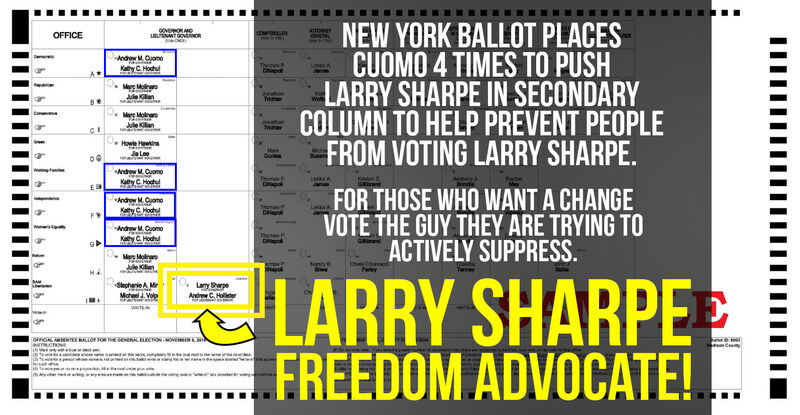 If you are in New York: vote Larry Sharpe! He is a man who is looking to promote overall prosperity and freedoms of people. Plus, if you see a Libertarian being elected on a state level, what is the chances someone else may get elected? It seems that the corruption of politics never ceases to amaze me. 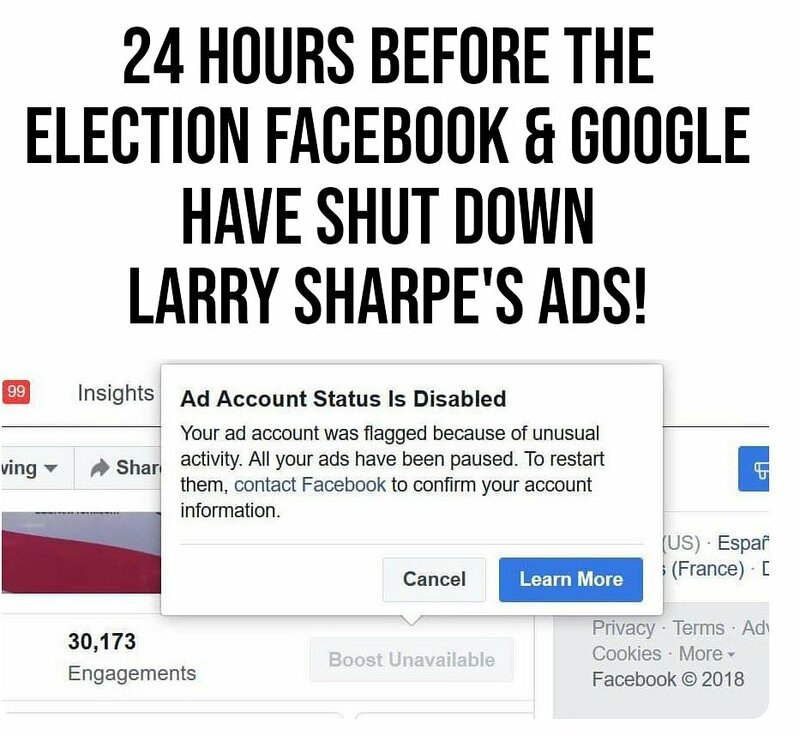 They are deliberately trying to silence people who are advocates to freedom and well-being of people and to do so, simply place one candidate 4 times while Larry is stuck in the back. Nice move Cuomo. True fascism in modern times. As messed up as this event is there are more companies doing the same through other means of "social justice". A good example is Jeremy Hambly from unsleevedmedia. His "free speech" has been met with big game companies and even conventions to ban him to avoid this political mob. These people are downright evil. They are attacking people's freedom of speech and trying to rig elections in really nasty ways. I don't think Democrats or Republicans want this.